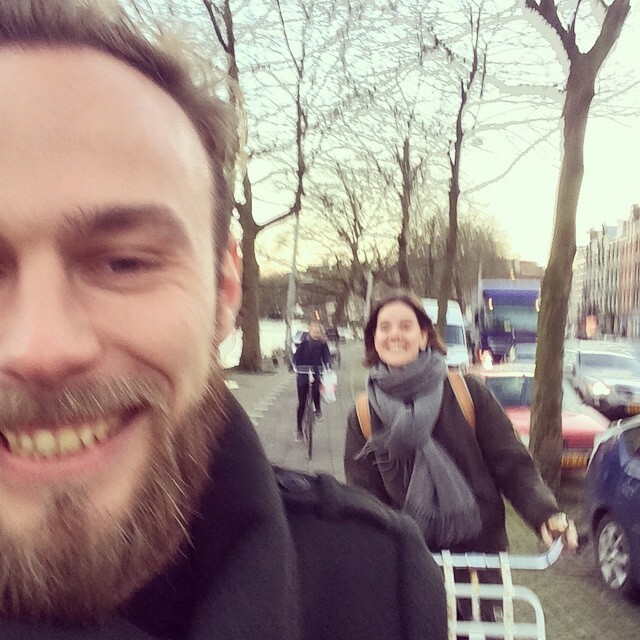 Roel and Noortje being happy campers on their bikes. Amsterdam we missed you. We stayed with Rolf and Linda, they lend us their bikes and made us happy! Source: https://www.instagram.com/p/w6qaglkoAo/.